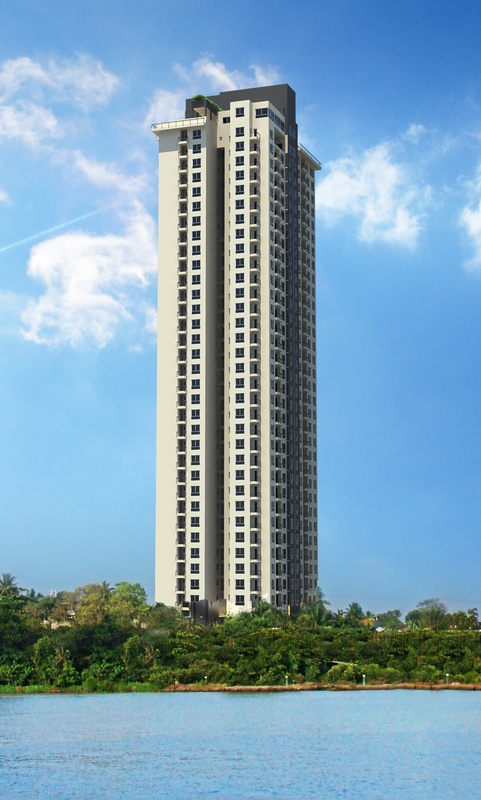 Fairway Holdings presents Elements, setting another benchmark in luxury living. Elements, the fourth vertical luxury high rise apartment building by Fairway Properties, presents a chic new direction for living and lifestyle in Sri Lanka, following the pioneering concepts of its soaring residential tower siblings within the Fairway Holdings group. Designed by architect Mohan Silva of the Urban Design Partnership and under construction by MAGA Engineering, Elements is on schedule for completion by the second Quarter of 2018. Keeping to the Fairway Properties design ethos of streamlined minimalist architecture that complements practical and spacious living areas, Elements incorporates an outdoor experience into vertical living; and with it the high standard of discerning luxury residential developments around the world. This dedication to luxury living is of Freehold title across 40 levels, with 64 elegant units of 3 or 4 bedroom apartments, conceptualized to promote family life. With only 4 apartments per floor, Elements safeguards the privacy of residents in 128 apartments that include 2 duplex penthouses, that present spectacular city or lake view panorama to its discerning home owners. Elements homes incorporate key features such as energy efficient lighting and double-glazed uPVC windows, using tempered glass for maximum absorption of harmful UV light rays, with external sound deflection. In case of an accident, the glass will not shatter and cause injury. Fittings are carefully considered, and doors are of engineered timber, imported for better quality. High quality bathroom fittings are exclusively supplied by internationally acclaimed brands including Toto and Grohe. Elements living spaces come fitted with Leicht Premium Kitchens from Germany, supplied by Centrepoint, a Fairway Holdings company. Bringing together over 80 years of expertise, Leicht kitchens offer superior quality features; combining material, colour, architecture and light with function-oriented product innovations, to bring unique designer kitchens to life. Leicht by Centrepoint is the No. 1 best sold premium kitchen brand in Germany. An opulent lifestyle is assured to the homeowners of the Elements with a range of amenities that include a full-length swimming pool, kiddies pool, banquet hall, gymnasium, lounge, meeting room and a drivers’ lounge along with a multitude of Recreational Areas. All residents receive free membership at the Fairway Sports Complex with facilities for tennis, badminton, basketball and squash. Elements Clubhouse will expand recreational pastimes and a proposed diner is under consideration for the convenience of home owners. Clean drinking water is provided on tap, as are sophisticated kitchen waste disposal systems. Elements expands its offering further via 2 carports for each apartment, with charging capabilities that have become a hallmark of the green friendly values of Fairway Holdings. With safety very much in mind, Elements homes are protected by a state of the art firefighting resource that includes a wet riser system, automated sprinklers and smoke detectors. The living areas of each apartment seamlessly blend into an infinitely spacious outdoor terrace, each with its own panoramic view. It’s the ideal location to take in that glow of the morning sun, or wind-down for the evening while enjoying a beautiful sunset at the end of yet another hectic Colombo day. Elements is the epitome of luxury living in synchronization with nature, cocooned by the wet lands of Rajagiriya, bird-life and the encircling water of the newly developed Diyawanna Oya recreational areas. As its name suggests, Elements incorporates and celebrates the intrinsic components of Sri Lanka’s spectacular natural heritage.